Content: 99.0 per cent to 101.0 per cent (dried substance). 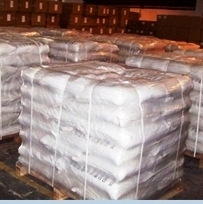 Appearance: White or almost white granular powder, hygroscopic. A. Dissolve 1 g in 10 ml of water. The solution is strongly alkaline. B. 2 ml of the solution prepared for identification test A gives the reaction of carbonates and bicarbonates. C. 1 ml of the solution prepared for identification test A gives reaction of potassium. Solution S: Dissolve 10.0 g in 25 ml of distilled water. Slowly add 14 ml of hydrochloric acid. When the effervescence has ceased, boil for a few minutes. Allow to cool and dilute to 50 ml with distilled water. Appearance of solution: Solution S is not more opalescent than reference suspension and not more intensely coloured than reference solution. Loss on drying: Maximum 5.0 per cent, determined on 0.300 g by drying in an oven at 120-125°C for 5 h.
Potassium Carbonate contains not less than 99.5 percent and not more than 100.5 percent of K2CO3, calculated on the dried basis. Identification: It responds to the tests for Potassium and for Carbonate. Loss on drying: Dry it at 180 for 4 hours: it loses not more than 0.5% of its weight. Insoluble substances: Dissolve 1 g in 20 mL of water: the solution is complete, clear, and colorless. Heavy metals: Dissolve 4.0 g in 10 mL of water, add 15 mL of 3 N hydrochloric acid, and heat to boiling. Add 1 drop of phenolphthalein TS, and neutralize with 1 N sodium hydroxide until the solution is faintly pink in color. Cool, and dilute with water to 25 mL: the limit is 0.0005%. 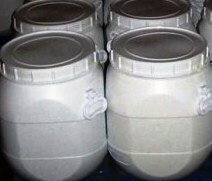 Potassium Carbonate is anhydrous or contains 1.5 molecules of water of crystallization. The anhydrous form occurs as a white, granular powder, and the hydrated form as small, white, translucent crystals or granules. 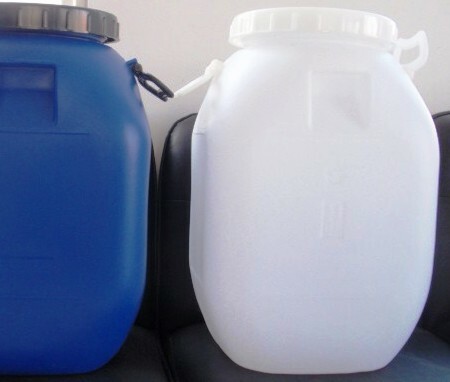 It is very deliquescent, and its solutions are alkaline. One gram dissolves in 1 mL of water at 25° and in about 0.7 mL of boiling water. It is insoluble in alcohol. Identification: A 1:10 aqueous solution gives positive tests for Potassium and for Carbonate. Assay: Not less than 99.0% and not more than 100.5% of K2CO3 after drying. Loss on Drying Anhydrous: Not more than 1%; Hydrated: Between 10.0% and 16.5%. Identification: A 1:10 aqueous solution gives positive tests for Potassium and for Bicarbonate.